Today is the last day of one of the most wonderful years of my life. 2008 has been so filled with blessings that I spent my entire prayer time this morning recording them in my journal and thanking God for another year of living in His love. My final entries in this particular journal also record my 2009 New Years Resolutions and some of my personal and spiritual goals for the coming year. A sense of expectation and faith for what God has planned for the next year of this amazing journey called life fills my heart. Instead of admitting the normal "New Years Resolutions" (you know the ones...loose weight,exercise more, drink fewer White Chocolate Mochas!!) I decided to go a different route and share 3 key messages that I received from the Lord over this past year. My prayer is that one might encourage or challenge someone who is reading this post and maybe even be a quote that you treasure through the year as I have. The last one is a scripture that God used to call me into ministry many years ago. This year, He placed neon lights on it in my Bible and I have meditated on it all year. My New Years Prayer for you, and for me, is to know God more personally, more deeply, more intimately and more passionately every single day of the year to come. Imagine what would happen if we all were to find and follow His Sovereign Plan for our lives and not to miss a minute of His perfect will. Now, to my promised GIVEAWAY that will last you A FULL YEAR!!!!! Life: Beautiful Magazine! "Faith for the Journey"
I discovered this gorgeous magazine last year and devour every single page and picture each time it arrives. It is not only full to the brim with great writing, it is just like it says...beautiful. It has stunning photography and home decorating ideas. "In Every Issue" you will find Dr. James Dobson, Joyce Meyer, Dr Gary Smalley and Janet Parshall, to name a few! Best of all it is loaded with God's Word presented in a beautiful way. I know that you will love it as much as I do. All you have to do is share with me/us a quote or a scripture that God has used in your life this past year in a special way. Or if you prefer, share a 2008 lesson Learned. All you have to do to enter is click on "comments" below. If you do not have a blog, just sign on as anonymous but be sure to sign your name and email address at the bottom of your comment so I can contact you. I have figured out the Random Integer thingy and will use it on Monday to declare a winner. As Beth Moore would say, "I kid you not". Pray for me, that today will bring a New Song. I am flat tired of that one. It is kind of depressing when you think about it. Anyway, tomorrow I am going to have a New Year Giveaway that will BLESS the winner All through 2009!! First I have asked my beautiful Daughter-in-Law to help me figure out the "Random Integer" thingy. I have already given her the gift of what I will give to the lucky lady who wins, so she will understand how cool this is and want to help. Stay tuned Surrendered Sisters. After all, since I usually don't have a whole SLEW of comments, so you just might win!! If you do, you will LOVE me all year! BTW, I had to email my daughter in law as she and my son, along with my adorable grandson's are on the road. Santa Fe I think. They are such a cool family, if I must say so myself. They have travel adventures that most families just think about but never do. Christmas is one of their favorite travel times. One year they picked up on Christmas Eve and flew to LONDON! England!! Last minute idea. No preplanning. They just found a good deal on tickets, packed a duffel bag and jumped on a plane. One of my favorite things to do is drive around in my car with my Grandsons and hear them talk about where all they have been. One of these times I will be with them. You all have seen that movie with the Grandmother riding on the luggage rack haven't you? They left from our house on Christmas Day wearing special T-shirts that my son Tim (who is older than me but even more creative) designed using their new website. Notice it is on the side of the RV as well! Check out their new blog and their adventures at ForeverWherever! See you tomorrow on the EVE of God's Next Good Year! I am sitting in my prayer chair enjoying the final twinkles of my Christmas tree lights. They MIGHT make it until New Years Day if they are lucky. I tend to be one who is just as ready to get all this STUFF put away as I was to bring it all out of the attic. It somehow goes from beautiful, wonderful and fun, to messy, very quickly. I have been strolling around blog world seeing who all is BACK! I loved reading about many sweet moments and memories that were made. Another Christmas has come and gone. It is so amazing to me how quickly they do! As much as I love celebrating Christmas, I love this week just as much. This week between the year that was and the year that is coming. It is a great time to consider all that God has done and prepare for what He has next. He always has GOOD things planned. Always!! Tonight, as I soaked in a bubble bath, a gift from one of my sisters, that song from "Fiddler on the Roof" popped into my head and I started signing, humming and whistling the tune. I sing in the shower and in the bathtub. I hum and whistle CONSTANTLY but I only SING in the most private places. Accept worship. Then I sing Big and Bold because I know that God LOVES my voice. I get songs in my head from who knows where and they just start playing, over and over and over in my mind. Tonight, it was Sunrise, Sunset. Maybe it was the process of moving into a new ministry office today after having moved out of the beloved building that I designed and enjoyed the privilege of watching be built. The place where I have lived for the past 10 years of my ministry life. We sold it. We actually moved the week before Christmas. Do you believe that? We have moved our pregnancy resource center right next to an abortion clinic so that women will have an opportunity to choose us. Choose Life. Choose God.They are doing just that. 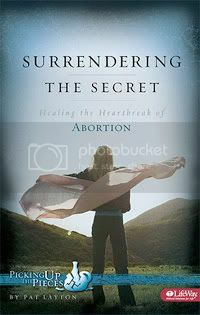 Last month 36 women came to us instead of going through with their planned abortion. 36 lives saved in one month! Thank you Lord!! It is well worth a building. Well worth the memories. Well worth the work! Anyway, maybe it was that. Maybe it was creating new file folders that say 2009. Maybe it was filling out new calendars. Transferring birthday reminders from one to another with a little notes in parenthesis reminding me how old my kids and my "G's" are turning, how many anniversaries have passed, how old my dogs are, for goodness sakes!!! The truth is I LOVE a New Year. I am always excited about new calendars and new resolutions. It does however, make me think about how quickly time goes. How precious it is. Maybe that is what made me think about Sunrise, and Sunset. So, I wandered into my living room with my glass of sweet tea (really!) and started checking in on my blog friends, all the while humming that song. I didn't know all the words, of course, so I decide to check out You Tube to see what I could find. The next thing I knew I was cracking up. Laughing so hard I just about....well you know. I have had a few of those wonderful moments over the past few days. Those laugh your head off moments. One happened on Christmas Day when I raised my newest G-Girl up over my head and was making her giggle so hard that she spit up---right into my mouth. I started laughing so hard I could not regain myself. Everyone did, as you might imagine. Anyway, I found some HYSTERICAL "You Tube" Videos of "Sunrise-Sunset", most of them done by Great Aunts at weddings that would have been better left un recorded. I chose this one to share with you. I just love the lady in green up front. She is so cute as she "Directs" this sweet group of ladies. I guess now that I have listened to 25 videos of this song, it will be DAYS before I quit singing it. Maybe Years. I wanted to my last Advent Post to be something that would capture what is going on in my heart as I consider this precious week. After spending time in my "Prayer Chair" this morning the Lord asked me to share with you, a bit of what He shared with me. I write in a prayer journal pretty much every day and have for almost 25 years. Some of my darkest and brightest moments are in those pages. I have decided in celebration of 25 years, that next year, I am going to drag all my old journals out and kind of parallel journal my days with the Lord for the next 25 years! THAT should be interesting, to ME anyway!! Good Morning Lord. It is Holy Week. The last week of Advent. The closing days of the "Christmas Season" as the world has placed it on her calendar. I am so grateful Lord, that my calendar does not belong to the world. It not only belongs to you, it is filled by you and it is FULL of you. You Precious Lord, are my calendar. You are my days, my hours, my minutes, my year. I do not always behave as though that is truth, but it is none the less. Your Holy Birth matters to me every minute of EVERY SINGLE DAY. Although I often fail and fall Lord, You have promised to never leave me or forsake me. The people who live in darkness have seen a great light. For those who live in the shadowland of death, light has dawned. Your light has "dawned" in my life Lord. Once and forever. You Jesus, have been born in me. If you are reading this post and Jesus has not been born in you, you can give HIM the best Gift of all this Christmas. The gift that HE came to receive. It will cost YOU nothing. It is easy to apprehend. You do not have to go far to get it. Simply fall to your knees, open your heart and ask Him to come into your life. No matter how complicated your life feels right now. No matter how messed up or confused you are. It is simple, just ask Jesus to be Your Savior, Your Lord, Your King of Kings. You have blessed Him. You have changed your life. Today is a new day for you. Now for a New Birth treat read Romans 8!! You will LOVE,LOVE,LOVE the last verses. If you have done this for the first time, or if even if you are like me and celebrating multiple years of New Birth, it would be a special Christmas Blessing for me to hear form you!! I am about 1 hour from lighting about 50 candles, slipping some appetizers into the oven and opening my front door to the wonderful staff of A Woman's Place/Life Impact Network. My home is ready to receive her guests and so am I. We have TONS of good food, fresh flowers and twinkling lights. As I have worked today to prepare to serve my coworkers, I have listened to every Christmas praise and worship CD in my collection. The one that has caused me to stop and lift up my head and hands each time I have heard it today is from a new CD that I bought this year on sale at Target. It is called "Sounds of the Season" by Julianne Hough. The song is "It wasn't His Child/Mary Did you Know" a duet featuring Phil Vassar. "Mary did you Know" has always been a favorite of mine but this song takes me to new levels of considering the special and precious way that our Savior arrived. I wish that each of you who have become my new friends through Blog world and through my awesome adventures around the nation this past year could come to my home tonight. I would sit with you, in the candle light and glow of my holiday decorations and we could worship together. Then, we would have some Red Velvet cake and Barnies Creme Brulee' coffee. In any case, I will be thinking of you and feeling blessed. "Mary treasured up all these things and pondered them in her heart"
The word "ponder" means to consider something deeply and thoroughly; to meditate; to weigh carefully; to consider thoughtfully. Pondering takes being still instead of rushing. Pondering calls for silence not answers. Pondering requires quiet. It is an process of the heart, not the head. Pondering requires a position of submission, not control. Pondering seems a bit slow to me. As a matter of fact. The idea is quite fascinating. A few months ago, we had a consultant come to our ministry. He completed a "test" of sorts on several of the key staff in the ministry, me included. The purpose of the test was to identify the leadership styles of the team in order to help us work together more effectively. My test results came back classifying me as what the consultant referred to as a "Quick Start". He was actually taken aback by how high my "Quick Start" score was. He had never seen higher. He went on to say that "Quick Starts" are idea people and are often "founders, creators, inventors" of new endeavors. They are people who identify a problem and are "quick" to respond. Every one in the room was nodding their heads as he talked. I am a high energy, new idea lovin' girl. I like action. I like activity and deadlines. I love "To Do" lists with things marked out or checked off so that I can move on to the next thing. It is not that I don't have the discipline to follow through. I have been in the same ministry for over 20 years and with the same man for 32. But I do love a new thing. I love change and challenges. I love progress and productivity. Sometimes to a fault. Sometimes I find myself in a life spin that causes me and those around me to feel overloaded. Sometimes, I get so deep in ideas and projects that I have no time to "ponder". No time to be sure that I am on God's track. To hear what He is doing, see what He is doing, stay with what He is doing. God promises to "never leave us or forsake us". He warns us when we are on overload if we will listen. Over the years that I have lived my life attempting to be surrendered to God, I have had to WORK on not WORKING! I have gotten so much better at this but I tend to "default" to this weakness when I am not careful. I have not been careful lately. Over the past few weeks I have locked myself out of my house. Lost my car keys in Walmart. Thrown an important document in the trash can and enjoyed the pleasure of digging it out (there is a word picture in that! ), bailed out of a ministry commitment, cancelled some friend time and popped off some emails that look like they were written by a 5 year old. I think I might need to take a Ponder Break!! How about you? Has the Holiday season dragged you into overload? Do you find yourself having more to do in a day than the hours will permit? Maybe I am all alone in this but I think not. I just keep thinking about Mary. About why God chose her. About how she handled the choice the He made to choose her. About all that was going on around her. About what she was a part of. About what she was seeing and knowing. About her fears. About her faith. About the things that "she pondered in her heart". I think I might be due for a Pondering Pause. I don't want to miss anything that God has to say to me, or show me or ask of me because I am to "quick" to "start" the next thing. Mary took the time to ponder and God knew that she would. I want Him to know that I will as well. The Job that no one Wants! We have been in the process in our ministry "A Woman's Place" : Life Impact Network of reviewing and rewriting job descriptions. We are an organization whose daily life is surrounded by unplanned, unwanted pregnancies. Our sole purpose is to promote the value of every human life. So far this year we know of 175 babies and their mothers who were saved from death. It is a difficult process to really capture the complete responsibilities of a job, especially in ministry. Ministry in it's truest form is a position of surrender and does not really allow for "rights", clarity of expectations or true recognition. On top of that, it seems that every job description requires the bottom line of "and whatever else is needed". From the highest position to the lowest, we do the grunt work. The process has made me "ponder" (more about pondering in my next post) what a Job Description may have looked like for "Mother of Messiah". Purpose: To deliver a son who will one day deliver you and the rest of the universe. Bottom Line: Wanted young woman of childbearing age who has been completely faithful to her personal moral purity to become a surrogate mother. Position requires a woman of the highest integrity, character and poise yet able to withstand being considered a harlot, tainted and morally fallen by all who know her. She will need to be open to releasing all of her personal hopes and dreams of a beautiful wedding and a fairytale marriage. She will need excellent communication skills as she will be called to explain some very bizarre circumstances. She must have a heart and mouth that is filled with praise and faith even while being completely alone, rejected by friends family and the man she loves. Applicant must have a willingness to travel in the most undesirable of times and circumstances. She will give birth without the support of family and friends in rather uncomfortable surroundings. Once said child is born, applicant must be prepared to be the mother of a son who is a bit "different". He will be illusive at times, mysterious, headstrong, prone to wandering off without permission and will hear voices that others do not. There will be times when this position seems to be one of great popularity, you will be invited to every wedding in town as long as you can bring your son. At others times, people will scatter when you are around, whisper behind your back and generally see you as "odd". Your son will be rejected, called a liar, hated by many and falsely accused of espionage. He will eventually be brutally beaten and dragged through the streets of the city while being spit on and kicked. He will be taunted and slandered in a mock trail and treated like a common criminal. He will finally be convicted, nailed to a cross and die a bloody, painful death while you watch. There will come a day of understanding for all that you endure but it will be long after your death and you will not experience it firsthand. Finally: This position will be assigned anonymously and no one will know that you have been chosen. Number one: If you think you qualify, you don't. Number two: The position has been filled. Yesterday we visited our middle son's church to hear our 4 year old "G-Girl" sing in the children's choir. Turned out that she chose to be "silent" for "Silent Night" but we were blessed anyway. The sermon was on...suprise!! !....Advent and the focus was on HUMILITY. Wow! Does that Spiritual Fruit EVER not need to be reconsidered. We were reminded that the King of Kings came to a small unimpressive town, as a tiny unassuming baby. His example of humility preceded His sovereign embrace of mankind. I found it so interesting to read Mary's references to humility. There is a message in there. I think I will stay with it for a while. Today also marks the beginning of Boo Mama's Christmas Tour of Homes. It is just too much fun to resist! My decorating is FINALLY finished so I decided to go ahead and enter even though I think I might be number 50 thousand! I hope that you enjoy your visit to my HUMBLE home. Updated Saturday December 20th to join Hooked on Houses Christams Tour! I don't know about your marriage, but in my marriage, after 32 years, we have learned about give and take.One of the things that I have learned about my honey is that he HATES the process of buying and putting up Christmas trees. We do not live in the land of "White Christmas" like the ones on all of the LIFETIME Christmas movies that have been playing since Thanksgiving and have entertained me while I have decorated my house. You know the ones where in every movie they all gather up in their heaviest coats and scarves and fury caps and wander around as the snow falls amongst the rows of trees at the tree farm. After they decide which majestic beauty to chop down with their shiny new ax, they tie it neatly on the top of the car, or the back of their sleigh and ride into the sunset with their hot chocolate. We get our tree at Home Depot wearing flip flops and tank tops. Over the years my honey and I have had our most public arguments in tree lots. He HATES the fact that I have to see, touch and smell so many trees in order to find the "Perfect Tree". My "Perfect Tree" has to be a 7-8 foot Frazier Fir that is full and lush all around since I often put it in the middle of the room. There have been some Christmases over the years where I have put up 3 trees!!! In any case, it usually takes me at least 3 lot stops to find the tree of my dreams. It always starts bad when he lifts the first tree that we come to up for my scrutiny, you know the one that 100 other people rejected earlier in the day. It is the one laying on the top of the pile with all the netting cut off and clear signs that say REJECTED!!!!!!! My honey sees that one kind of like the dogie in the pound that whines and begs for you to take it home. Or it could be a "let's just get this thing done" attitude. I think we all know the truth here. The next part of the "FUN" that we share is getting that final choice up on the roof of the car. Actually, that is not always the worst part. The worst part is getting it BACK up on the roof of the car halfway home after it has slowly slid down the side until it is resting on the window of the drivers side and we can not see to turn left! Anyway, we get the tree home and drag it off the top of the car and begin trying to fit the bottom of that BIG FAT TREE into that tiny red and green stand with the bent feet. This part is NOT pretty to watch. When we finally accomplish that feat we lift her up, twist and turn to get the "best" side. Stand back to check her out, then scream and run as she topples over towards us. There have been MANY! MANY! years when this was the moment for digging out the fishing line, tying it to to the top of the tree and thumb tacking it to the ceiling. This looks great with one of those tacky gold garlands running down to hide it. When our children were small and innocent, this would also be the moment that I would send them from the room to watch a Christmas movie on LIFETIME. Something where someone was cutting a tree down in the snow!! My honey is has been sold out to God for over 24 years. He has served as an Elder at our church for 12 years! He is a man of God who has read through the Bible a WHOLE BUNCH OF TIMES and knows the 10 Commandments! However, during these moments, we reverts back to our "drinking and smokin' days" and sometimes forgets his manners. The good news is...as marriage goes on, we do learn what each other "HATES". We learn one anothers strengths and weaknesses. We learn to give and take. We learn what rings one anothers chimes and what makes one another NUTS!!!! A few years back I accepted full responsibility for the choosing, buying and setting up of the Layton Family Christmas tree. The first smart thing that I did was to take out a second mortgage on our home and bought a REALLY GOOD TREE STAND!!! (Just kidding about the 2nd honey) It has been worth every cent! This thing runs out to the car, jumps up on the hood and attaches itself to the base of the tree and does not come off until I tell it to! A few years back I began taking one or two kids with me and getting our tree before honey gets home from work. I have it in the house on the stand with the lights on it (LIGHTS ARE A WHOLE DIFFERENT STORY!!). Then everyone is calm and "Hallmark" ready to gather together to decorate it. Sometimes. As the kids have grown I often decorate by myself and thoroughly enjoy the peace and quiet and opportunity to be creative. ALL OF THIS STORY LEADS TO THIS! This year, my honey saw that my schedule was a bit FRIED!! He took it upon his sweet self along with our oldest son and our baby girl who is home from college for Winter break, to surprise me. The three of them went yesterday and bought me a TREE!!! They went to Home Depot, picked it out, brought it home and put it in the stand! It is an 8 ft Frazier Fir that is PERFECT, full and round on all sides. It was in the living room ready to be put where I wanted it to reside as our guest of honor for the next 2 weeks! The tree is very nice too. This is a message from the "Sweet Tea" Emergency Blogging System!!! I have stopped in the middle of my decorating progress to join the "Holiday Garland Show and Tell" sponsored by The Nesting Place. I spent several hours last night wandering around blogland and enjoying all of your beautiful creations. What a talented bunch of bloggers you all are. I thoroughly enjoyed seeing the variety of styles and ideas. Although I feel a bit intimidated, my desire to be a part of the fun is greater than my pride so here goes! My Living Room Fireplace has always been one of my favorite decorating places and a great place to kick start my holiday brain juices. I have a purple living room as I explained in my post about Advent. I have so much fun drawing upon the color of royalty and adding a bit of glitter and glamour! My Family Room is Blue and White so I chose to focus on the white this year on the top of my Entertainment Center. I have had these wonderful lighted churches for years and always add some new twist to freshen the look. This year I popped some small trees up there and a garland of white roses. The Blue and Silver ornament tree on the right has been the thing I have been unsure about but I have moved on to new challenges now so it is what it is!! My Staircase is decorated this year with giant white magnolias, silver wreaths and oversized ornaments with a few white spriggy things thrown in for fun! The blue and white from my Family Room continues into my kitchen. I have a small distressed white Kitchen China Cabinet that offers a fun spot for some lights and color in the kitchen. Last but First on my tour, we give our Gold nativity set a place of honor at the front door on the Foyer Buffet. It is the first thing that you see after you enter our home. My hearts desire is for Jesus to be the focus of all that goes on within these walls as we celebrate the Birth of our Lord! So there you have it, as it is right now. My Holiday decorating is an ever changing process as I pick and move and change things as the days go on. Oddly enough this year, the LAST thing that I have to do is put up our tree. My daughter arrives home for the holidays tonight and has promised to help me decorate. I can't wait!! I pray that you enjoy your Gander at my Garlands as much as I have enjoyed yours! A few days a go, our middle son sat on the couch in our Family Room and said" Mom, when did you become Martha Stewart?" My head spun his direction in an "exorcist" kind of move for two reasons. I thought that I had just heard a compliment and if that was true, I did not want to miss it. The other reason was that I had worked all Sunday afternoon on the top of my entertainment center and was still not sure it worked. I was thrilled to have someone who was looking at it, tell me that it did! As far as the "Martha" comment, I have no idea what prompted his comment. I have always decorated our home for Christmas, sometimes in an extremely gaudy fashion. Maybe he just noticed some improvement. I am considerably behind in my decorating this year. I always drag my stuff out Thanksgiving weekend but this year, with our plumbing adventure, I did not pull it all down until late Saturday afternoon. I began dragging it into my home and putting things in piles in the appropriate rooms. Today was a day to make some headway. I figure it would be a good idea since all of this is lying around my house waiting for someone, to do something with it. Since I am the only someone who is likely to notice, I figured I better get to it. Not to mention that I have some Holiday parties coming may way. 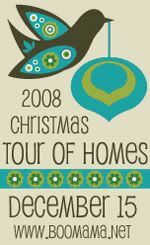 I have to be finished this weekend so that I can participate in Boo Mama's Tour of Homes that begins on December 15th! I so hope that you come for a visit!! This morning, in my quiet time, I did something that I find very difficult and do not do nearly enough. I sat before the Lord with nothing to say (rather, saying nothing) and simply listened. It is not that I didn't HAVE things to talk to God about. I actually have a BOATLOAD of prayer requests!! There are a few things that are so heavy on my heart that I can barley get myself around for the weight of them. Things that I have talked to Him about OVER and OVER and OVER!!!!!! Things I have asked God to FIX or to show ME how to fix. I will take either way. A look at the manger speaks clearly of that truth. This is the second week of the Advent season. Advent: (root for the word Adventure) a penitential (root word for penitentiary) beginning 4 Sundays before Christmas for reflection upon the coming of Christ. Advent is a season of reflection, repentance, anticipation and celebration. It is so much more than a commercial holiday counted upon to boost the economy. It is a season that calls for complete focus upon the Birth of the Saviour of the World!! A season of understanding the truth about God. An understanding that everything begins and ends with our complete reconciliation to Him. Our Creator, Our Lord, Our All in All. Advent calls for a double focus...the beginning and the end, past and future. I read that Advent demands a "profound sense that we live between the times". We have seen His first coming, we will see His return. For those of us who really understand this season, it is our responsibility to tell the rest of the world. The neighbors who are having Santa as the guest of honor for a holiday party. The dry cleaner who has a Buddha on the counter with a Santa hat on his head. The grocery cashier who has a "HoHoHo" apron on. 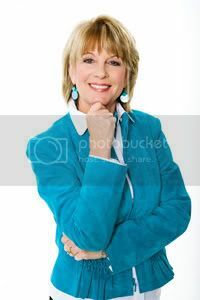 The dental hygienist who laments about her lack of shopping money this year. "As for me, this is my covenant with them....My Spirit, who is on you, and my Word that I have put in your mouth, will not depart from your mouth, or from the mouths of your children, or from the mouths of their descendants from this time and forever"
What a promise. What a Savior. What a Season!! My G-Boys left last night. My house is very quiet this morning.....and very NEAT! We had such a fun time together. Unfortunately for him, my husband was out of town all week. We missed him but it was special for me to have them all to myself. We were on the move every day doing something fun--movies, bowling, riding the waves!! It was all COOL! It was all good but my favorite part was the laughter! We laughed so much together. I love to laugh and in the serious life that I live...fighting abortion and all....sometimes I forget how good it feels just to laugh and be silly. One night we watched the movie "Get Smart", we laughed so hard at that movie that we made each other laugh. You know how that works. At one point I burst out laughing and began spewing my sweet tea all over myself. The harder I laughed the harder the boys laughed. Laughter is contagious. Everyone is out there getting "Flu" shots. Maybe this season we could pass around a bit of laughter and JOY instead of sickness and disease. Laughter reduces the level of stress hormones like cortisol, epinephrine(adrenaline), dopamine and growth hormone. It also increases the level of health-enhancing hormones like endorphins, and neurotransmitters. Laughter increases the number of antibody-producing cells and enhances the effectiveness of T cells. All this means a stronger immune system, as well as fewer physical effects of stress. Have you ever felt like you "have to laugh or you will cry"? Have you experienced the cleansed feeling after a good laugh? Laughter provides a physical and emotional release. A good belly laugh exercises the diaphragm, contracts the abs and even works out the shoulders, leaving muscles more relaxed afterward. It even provides a good workout for the heart. I am certain that I lost 5 pounds--inside, last week. It may have been the Root Canal that I had on Wednesday (really!) but I like to think it was all the fun! Laughter brings the focus away from anger, guilt, stress and negative emotions in a more beneficial way than other mere distractions. Studies show that our response to stressful events can be altered by whether we view something as a 'threat' or a 'challenge'. Humor can give us a more lighthearted perspective and help us view events as 'challenges', thereby making them less threatening and more positive. Laughter connects us with others. Also, laughter is contagious, so if you bring more laughter into your life, you can most likely help others around you to laugh more, and realize these benefits as well. By elevating the mood of those around you, you can reduce their stress levels, and perhaps improve the quality of LIFE you experience with them, reducing your stress level even more! Laughter is one of God's best stress management strategies. He has much to say about JOY. T.V. and Movies: There may be a shortage of laughter opportunities from the entertainment, both at the theater and in the aisles of the video stores but they can be found! Watching truly hilarious movies and shows is an easy way to get laughter into your life whenever you need it. I shared "Get Smart" with you...do you have any good ones to pass on? Laugh With Friends: Going to a movie with friends is a great way to get more laughter in your life. The contagious effects of laughter may mean you'll laugh more than you otherwise would have during the show, plus you'll have jokes to reference at later times. Having friends or family over for a party or game night is also a great setup for laughter and other good feelings. Find Humor In Your Life: Instead of complaining about life's frustrations, try to laugh about them. If something is so frustrating or depressing it's ridiculous, realize that you could 'look back on it and laugh.' Think of how it will sound as a story you could tell to your friends, and then see if you can laugh about it now. With this attitude, you may also find yourself being more lighthearted and silly, giving yourself and those around you more to laugh about. Approach life in a more mirthful way and you'll find you're less stressed about negative events, and you'll achieve the health benefits of laughter. (See this article on maintaining a sense of humor. I loved every minute of my time with my oldest G-Boys but I think I caught something form them that I did not expect---the good feeling of laughter. I think that I have been "infected" and will do all that I can to pass it on this Christmas season. Blogger sisters, I need help. I have the amazing privilege of having my two oldest grandsons with me for the week. They are home schooled and very talented and smart, if I must say so myself. Both of them love music and brought their musical instruments along to keep their practice up and to show off for "G". I have the whole week set aside and planned out for fun things to do. I have kept the time very flexible so that I can change my plans at any time to meet their desires. That turned out to be a good decision. Yesterday was filled with a movie (planned) and a long, sweet trip to a large music store (unplanned). It allowed them the opportunity to drop lots of Christmas Wish hints! Back to the HELP part!! As I said, these boys are smart. They have traveled all over the world and have seen many things that I have never seen. The older one is a GIANT teddy bear and when he walks up and down my stairs I am thrown back many years and imagine that it is his Dad and that I still have him living in my home. It is amazing how much alike they are. They walk, talk and respond to those around them in much the same manner. I love watching it. The younger one is the "investigator". He is always creating or building (or blowing up) something and is ALWAYS thinking, doing, watching, and wondering! One onf my favorite parts of being with them is driving in the car somewhere. They are captured together and I LOVE to hear them talk!!! That is the part I need help with. How did last names get started? The first one, we came up with a few ideas about how that saying got started. But the last one really needs some research on my part, unless one of you could just slip me the answer. It would really help me to impress my smart G-boys! In the mean time...be abundantly blessed! I am!! The refrigerator has been cleaned out of leftovers that have been pulled in and out of the fridge and microwaved 4 or 5 times over the past 4 days. All that was salvaged has been made into soup. Yesterday I gathered everything that is brown, yellow, gold or orange that decorated my home for the Fall season and packed it away for another year. It is time for my favorite color to take a step up! To PREEN! To GLOAT! To SWELL! Advent is the official beginning of the "Church Year" for most churches in the Western tradition and officially began yesterday, November 30th. It is a beautiful season of color and special celebration that will take center stage in the lives of those who understand it's meaning across the entire World from now until Christmas Day. The fact that many who participate are unaware of the true reason for the season, does not weaken it's Majesty. Although the retail world tends to favor Red, Green, Silver and Gold, most churches have at least a bit of PURPLE! I especially love the traditional colors of Advent. My favorite color is purple and it is, in fact, the first color you see when you enter my home. As a young Mom, I used the holiday colors of red and green. Over the past few years I have passed all of those goodies over to my young nieces and daughters in law and have chosen to glamorize the everyday colors that I love and already have in my home, for the celebration of the newly born Messiah! Purple is the color of penitence: the realization of our sinfulness, and repentance: the resolve to change. Purple is also the color of royalty and decorates the World as a stage to welcome the Advent of the King. Purple as a color of Advent is also used during Lent and Holy Week and reveals the connection between Jesus’ birth and His death. The nativity cannot be separated from the crucifixion. The purpose of Jesus’ coming into the world, of the "Word made flesh" and dwelling among us, is to reveal God and His grace to the world through Jesus’ life and teaching, but also through his suffering, death, and resurrection. To honor this truth, Advent was originally a time of repentance and fasting, much as the Season of Lent and so shared the color of Lent. The Advent season remains marked by a spirit of expectation, anticipation, preparation, and of a particular longing for things to be made right with the World. There is a yearning for deliverance from the evils of our culture, from a sense of being incomplete or inadequate for the challenges of life. It is the cry of those who have experienced injustice, pain, loss and trouble in a world under the curse of sin. It is the celebration of those of us who have experienced deliverance. God has heard our cry for redemption, restoration and salvation! Advent announces anticipation of a King who rules with truth, justice and righteousness over His people and in His creation. It is that hope for the coming reign of the Anointed One, the Messiah, who will bring peace, justice and HIS glory to the world, once and for all. Advent is a season of Celebrating the Arrival of Christ the King.